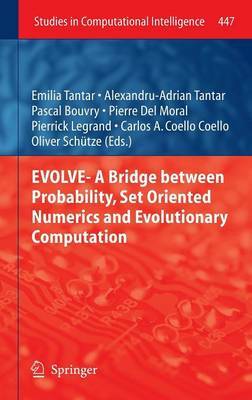 The aim of this book is to provide a strong theoretical support for understanding and analyzing the behavior of evolutionary algorithms, as well as for creating a bridge between probability, set-oriented numerics and evolutionary computation. The volume encloses a collection of contributions that were presented at the EVOLVE 2011 international workshop, held in Luxembourg, May 25-27, 2011, coming from invited speakers and also from selected regular submissions. The aim of EVOLVE is to unify the perspectives offered by probability, set oriented numerics and evolutionary computation. EVOLVE focuses on challenging aspects that arise at the passage from theory to new paradigms and practice, elaborating on the foundations of evolutionary algorithms and theory-inspired methods merged with cutting-edge techniques that ensure performance guarantee factors. EVOLVE is also intended to foster a growing interest for robust and efficient methods with a sound theoretical background. The chapters enclose challenging theoretical findings, concrete optimization problems as well as new perspectives. By gathering contributions from researchers with different backgrounds, the book is expected to set the basis for a unified view and vocabulary where theoretical advancements may echo in different domains.